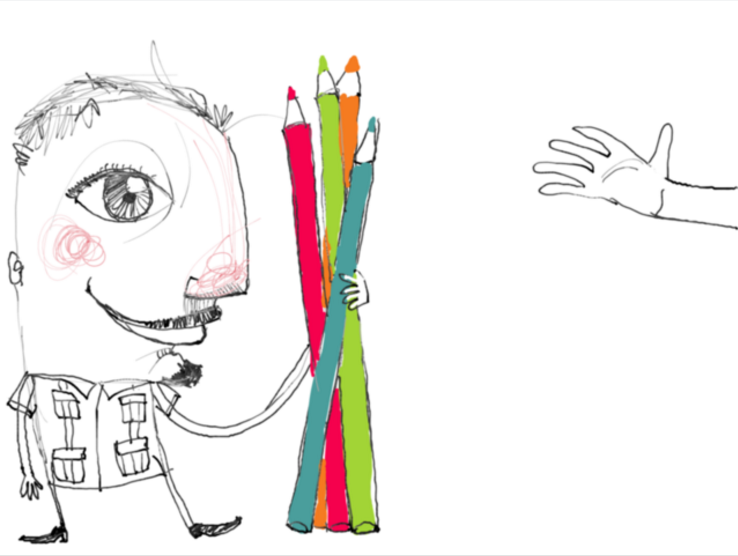 DADA is an online visual platform where people talk to each other through drawings. Our mission is to empower artists and to make art and creative collaboration accessible to everyone. DADA was envisioned with the goal of creating a vibrant creative community where artists can share their individual visions and connect with each other for the common good. Draw on our sketchpad and someone from around the world can reply to you with a drawing of their own. Start a story, send someone a message, have a conversation, meet and draw with other artists. Fun! Finish your drawing, post it on DADA and share it on social media. Someone may answer back with a surprising twist to your story or unleashing an amazing sequence of drawings. Basquiat by Beatriz Helena Ramos and Escher by Cromomaníaco..